Resistance band exercises are a great alternative to buying weightlifting equipment. You can get a complete body workout with resistance training using the bands for a lot less money. They come in different strengths and are typically color coded for these strengths. To get the most from your strength training using resistance bands, you should have at least 3 different strengths – easy, medium and hard. There are many different strengths ranging from the very easy to the super heavy resistance. As an exercise starts to become too easy, then move to the next level of resistance for the bands. Below is a list of various exercises for the upper and lower body using resistance bands. Just use the links below to go directly to a workout. To learn more about the advantages and disadvantages of resistance bands, be sure to continue reading this page. Use the list below to see a specific strengthening workout. Check out the upper body resistance training if you want to see all of the upper body resistance band exercises. The list below are the Lower Body Resistance Band Exercises. You can select the workout you can do the complete lower body resistance training using this link. There are many benefits of exercising using resistance bands. Below are just a few worth mentioning. 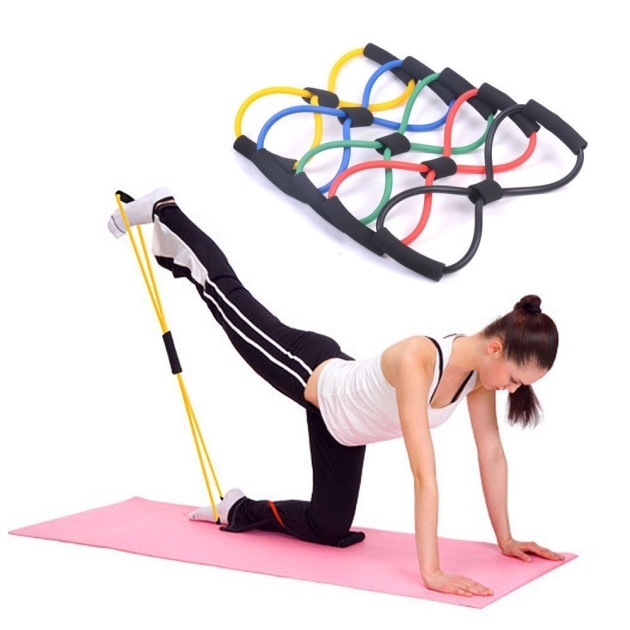 Resistance bands are extremely convenient and light, so they can go with you on the road. This is a perfect way to keep up with your strength training even while on a business trip or vacation. Using resistance bands you can alter the exercises by changing your body position. This will alter the way the exercise feels and works the muscle in different ways. It's also a great way to add variety to your weekly strength training. You can alternate between weightlifting, dumbbell exercises and resistance band exercises. Resistance bands exercises are the most inexpensive way to do your strength training. Prices range from only $6 to $20. Resistance band exercises are a perfect match for the beginners but also works for the more experienced strength trainers. One of the main advantages to using resistance tubes or bands is that you feel the resistance during the full exercise motion. For example, when using dumbbell weights, the resistance is stronger when performing the up motion, like in the bicep curl. But on the down motion, the resistance is less as gravity is helping with the return position. However, with resistance bands, you can feel the tension during both the up and down motions of the exercise, giving you complete resistance training. Another advantage of using resistance bands is the ability to change the resistance easily. With a band, you can easily increase or decrease the tension by tightening or loosening the band. For example, when doing squats with a resistance band, you place the band under your feet. By widening your stance, you are increasing the resistance. 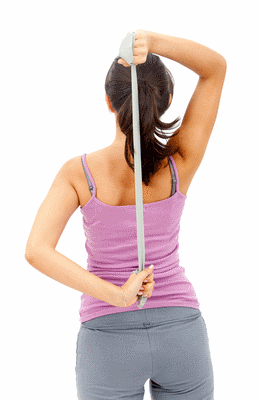 Determining the right strength with a resistance band can also be a disadvantage. If your band is not the right strength, or you have decreased the resistance to the point that it is too easy, you will not be getting the most benefit from your strength training exercises. Another disadvantage is that you may outgrow the bands. As you strengthen and tone your body, you may need to increase the resistance. Since the bands only come in certain strengths, the most resistance band may become too easy for you. At this point, you may need to move to free standing weights to increase the resistance. Be sure to read about the pros and cons of dumbbell exercises before selecting your strength training equipment. Strength training has many health benefits as well as helping you boost your metabolism and lose weight. If you don't have resistance bands or dumbbell weights you can still strengthen your muscles using just your body weight.